The former director of the Detroit Water and Sewerage Department was sentenced to eight months in a halfway house after having pleaded guilty to conspiracy in the case of former Detroit Mayor Kwame Kilpatrick, announced U.S. Attorney Barbara L. McQuade. Joining on the announcement were Paul M. Abbate, Special Agent in Charge of the Detroit Field Office of the Federal Bureau of Investigation; Carolyn Weber, Acting Special Agent in Charge, Internal Revenue Service-Criminal Investigation Division; and Randall K. Ashe, Special Agent in Charge, Environmental Protection Agency, Criminal Investigation Division. U.S. District Judge Nancy G. Edmunds imposed sentence on Victor Mercado, 62, of Stuart, Florida. According to the superseding information, from June 2002 to June 2008, Mercado served as director of the Detroit Water and Sewerage Department (DWSD), reporting directly to Kilpatrick. In this capacity, Mercado was responsible for administering more than $2 billion in contracts with private companies. The plea documents stated that Mercado, acting at the direction of Kilpatrick, unlawfully steered contracts and payments to Kilpatrick co-conspirator Bobby Ferguson. Mercado influenced the procurement process to Ferguson’s advantage and directed a bidder to include Ferguson on a DWSD contract if the bidder wanted to receive favorable consideration on the bid. Mercado took these steps as a result of regular and consistent pressure from Kilpatrick and his staff to help Ferguson obtain DWSD business regardless of procurement policies, rules, and regulations. “Although Mr. Mercado was acting under pressure from the mayor, he must be held accountable for abusing his position of trust and causing harm to the city,” McQuade said. “Public corruption remains a top priority for IRS-Criminal Investigation, and this case represents the value of the collaborate efforts of law enforcement to hold those in positions of public trust accountable,” added Weber. From January 2002 to January 2006, Kilpatrick served as special administrator over the DWSD. That designation, arising from a federal consent decree resolving a lawsuit alleging federal environmental violations, gave Kilpatrick authority to award DWSD contracts directly with outside parties, bypassing city procurement procedures, and also gave Kilpatrick responsibility over the operation of DWSD’s wastewater treatment plant to ensure compliance with environmental standards. As stated in the plea documents, Kilpatrick used his position as Mayor of Detroit and Special Administrator of DWSD to pressure city contractors to give subcontracts or payments obtained under those contracts to Ferguson, or risk having the contracts delayed, awarded to competitors, or canceled, resulting in economic harm. Invoking and otherwise exploiting his well-known affiliation with former Mayor Kilpatrick, Ferguson pressured city contractors to hire or pay him for DWSD contracts. This case was investigation by special agents of the FBI, IRS, and EPA-CID and was prosecuted by Assistant U.S. Attorneys Mark Chutkow, Michael Bullotta, and Eric Doeh. 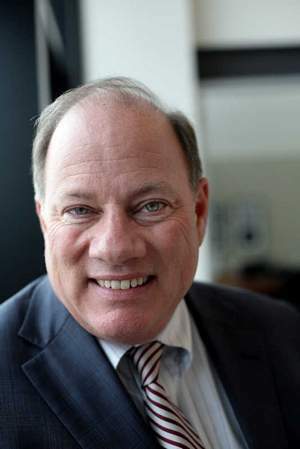 Mayor Mike Duggan will host a meeting with residents of Detroit's seventh district, which includes the Warrendale neighborhood. This meeting will happen on Thursday, May 22 at 7 p.m. in the Kadesh Missionary Baptist Church (20361 Plymouth Rd. ), which is a mile north of Warrendale. Parking is available in the parking lot adjacent to the church. Doors open at 6 PM and the meeting will adjourn promptly at 8:30 p.m.
All residents and stakeholders of the Warrendale and surrounding neighborhoods are encouraged to attend this meeting. There are moments when I see something while out in the neighborhood; I'll snap a photo of it with my phone. I will upload it to one of my social media accounts, with every intention of also uploading it here. Unfortunately, I don't always remember to do so. Especially when I'm as busy as I have been these past few weeks. Anyway, the latest example of this a series of photos from Ryan Playground (5741 Faust Ave.) at the southern end of the Warrendale neighborhood. These photos clearly show that metal thieves really and truly will still anything if they think they can sell it for scrap. Someone decided to steal a large chunk of the chain-link fencing that used to be at the northern end of the playground. I'm not sure how much they'll get for stolen fencing when they try to sell it for scrap metal. Still, they stole it. Post by Warrendale Detroit Blog. Not to be outdone, someone also tried to steal this climbing set that has been in the playground for decades. I remember climbing on this thing as a kid way back in the 1970s. I have to admit that I am more than a little frustrated with people who steal all of this stuff. If anyone knows anything about who stole these things, please call the Detroit Police Department and then reach out to me.